Five of Smith’s varsity teams dominate the spring calendar: lacrosse, softball, tennis, track and field and crew. How have these teams fared so far, and what do they have on the horizon? Lacrosse began their season with a tight 13-12 win against Western New England University on Feb. 28. The thrilling home game was within two points the entire time. Chloe Harris ’19 stood out with an impressive six goals in the game. Harris said, “The game against WNE was a very close, exciting game, and I'm happy we came out with the win. I think the game gave us things to work on and improve moving forward, but I'm excited to see where we go as we progress into the season.” Since then, the team has maintained an impressive 7-4 record. Their next game is scheduled for Wednesday, April 10, against Springfield College. It’s a home game, so be sure to come out and support them. Softball began their season over spring break with a trip to Florida, where they competed in a tournament called THE Spring Games. Tournaments like this give Smith the opportunity to face teams that they wouldn’t otherwise, like Simpson College in Indiana or Benedictine University in Illinois. So far, the team has earned a record of 6-14. Even if it sounds rough, their record displays improvement; last season, they went 6-29 for the entire season. With 16 more games on the schedule this spring, hopefully the team can improve on their record and continue to grow in upcoming years. The tennis season started Feb. 23, with games against Vassar and Wellesley. They’ve had nine games so far and haven’t been able to pick up a win. Their next three games are at home, so be sure to check the schedule and catch a game to show your support. Track and field has been in season for a little while, with indoor meets through January and February. Their most recent meet was Saturday, April 6, at home. Some highlights include Smith winning both the 4x100 meter and 4x400 meter relays. 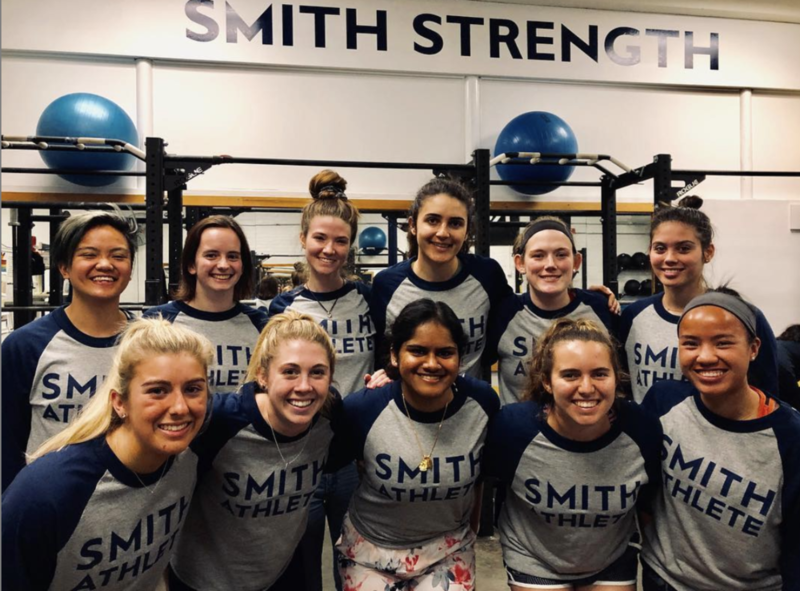 Additionally, many Smith students placed first in events, like Emma Lesser ’22 in the 100-meter hurdle, Karena Garcia ’21 in the 800-meter run, Patricia Jewell ’20 in the 5000-meter run, Cassie Naranjo ’19 in the high jump, Katy McClellan ’19 in the javelin throw and Wasila Yussif ’21 in the triple jump. With the weather getting more inviting and the afternoons growing longer, grab some friends and try to catch one of Smith’s many skilled teams. There are events every weekend, so always keep an eye on the schedule.